What’s the Entrance fee all About? When visitors come to Babylonstoren, whether it’s for lunch, garden tour or a spa treatment, they often express surprise at the entrance fee at the gate. As it is Mandela Day today, we thought you might like to know where your money goes. You’ll see that on the ticket you get at the gate, it states that the money collected from this entrance fee all goes to the Babylonstoren Trust. The Babylonstoren Trust raises funds for community projects, like the crèche where our farm workers’ children are cared for while their parents are working. The Trust also helps local school children with soccer and netball kit, and with transport to sports days. Your entrance fee is an important contribution to the upliftment of our community here at Babylonstoren. Baie dankie! 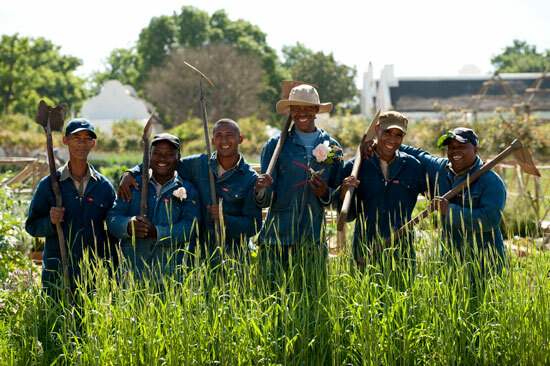 Hi Jenny, you can send an email to hetty@babylonstoren.com.